One of the best former Miss Uganda participants, Dorah Mwima shocked everyone when she announced having the late Mowzey Radio’s first-born child called Ethan. Her declaration about this matter spread more viral which couldn’t leave Weasel Manizo with a piece of mind. However, while emphasizing her statement, Dorah Mwiima mentioned that she always tried to reach Mowzey, about their son, but he could just ignore. He always failed to meet her in person according to her statement. 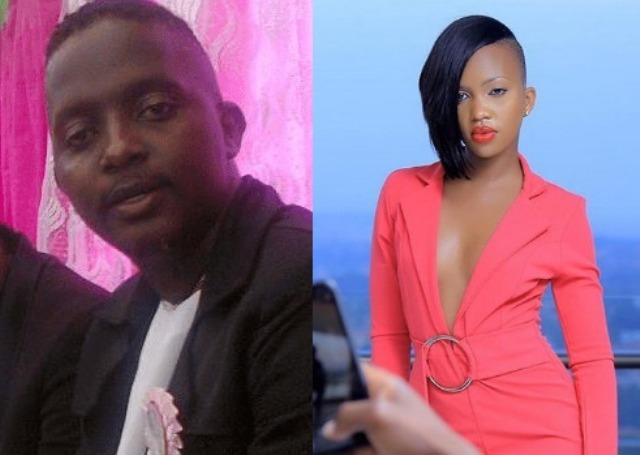 Further more, Dorah added and said that she told singer Lillian Mbabazi about that issue, and she seemed to have given her a go ahead, of making Ethan discover his dad. But unfortunately, radio’s family is at ties with her. Therefore, this time around, Radio’s mother has finally put a warning to all ladies who claim to have children belonging to the late vocalist. Kasubo Jane says that she only accepted 6 kids and that was the limit.